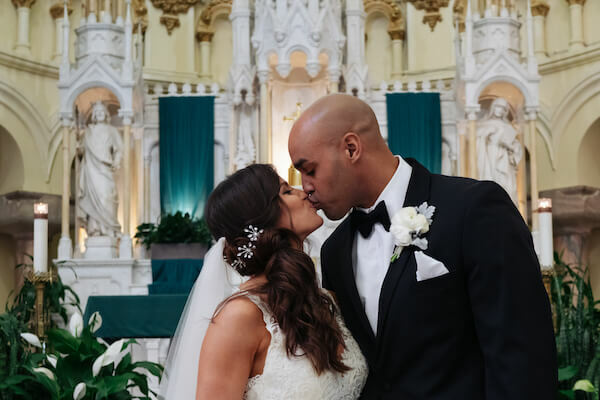 Earlier this year our Special Moments Event Planning team worked with Keriann and Jeremy to create a little wintertime love. 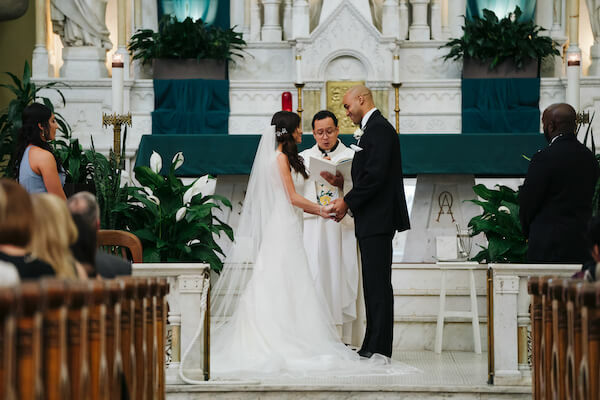 They traveled north from Ft Myers for a Tampa Bay winter wonderland wedding. 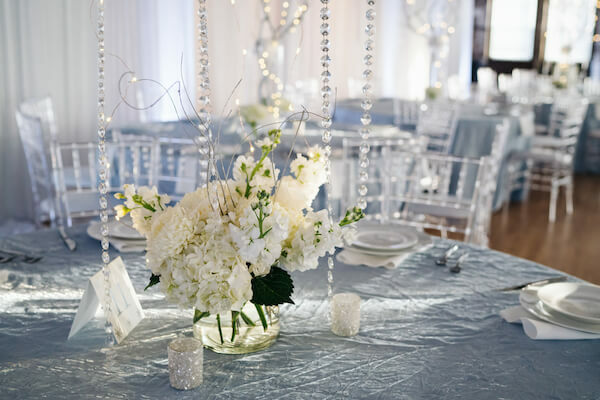 The winter wonderland theme began with shimmer silver invitations with tiny white flakes of snow. 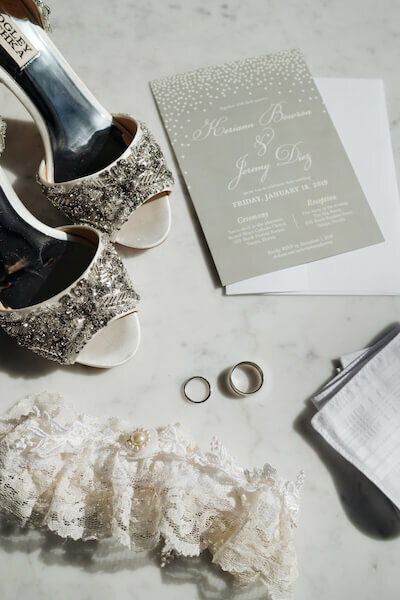 We love how Keriann carried through the vibe in her shimmering silver and rhinestone Badgley Mischka peep-toe pumps. 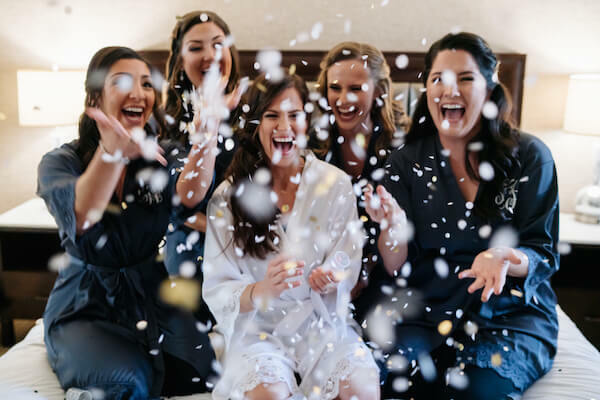 Her wedding party even made it snow as they prepared for the wedding day. 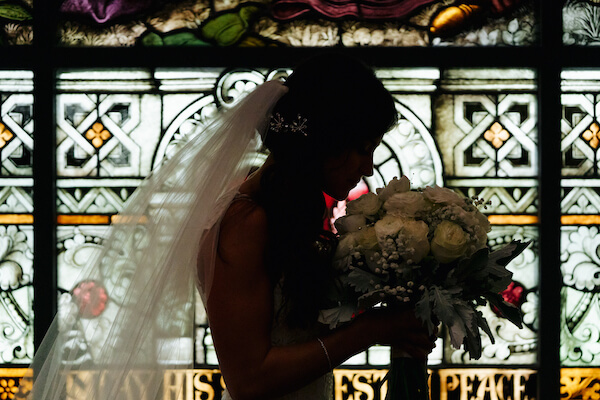 Keriann wore a stunning sweeping white lace wedding gown with cathedral length veil and sparkling snowflakes in her hair. 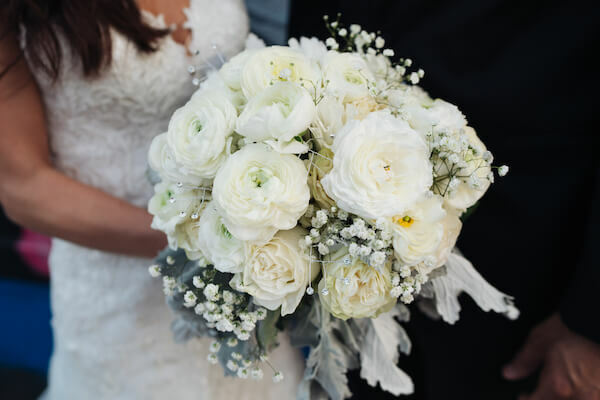 She carried a bouquet of white garden roses, ranunculus, baby’s breath, dusty miller and touches of crystal. 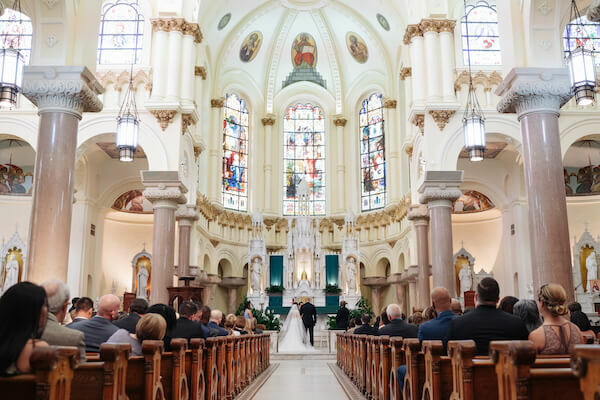 The couple was married in a touching wedding ceremony in Tampa’s Sacred Heart Catholic Church, surrounded by family and friends. 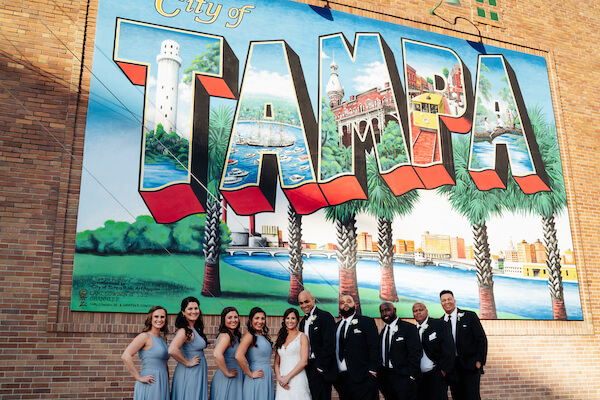 Their wedding portraits are breathtaking and showcased many iconic Tampa locations. 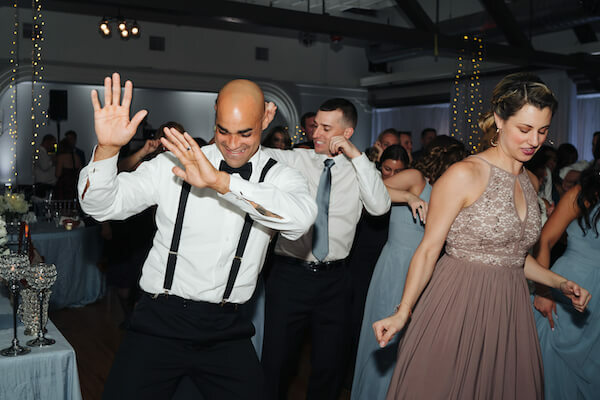 The winter wonderland continued at the couple’s wedding reception in The Hip Room, a dance studio and event space located in Downtown Tampa. 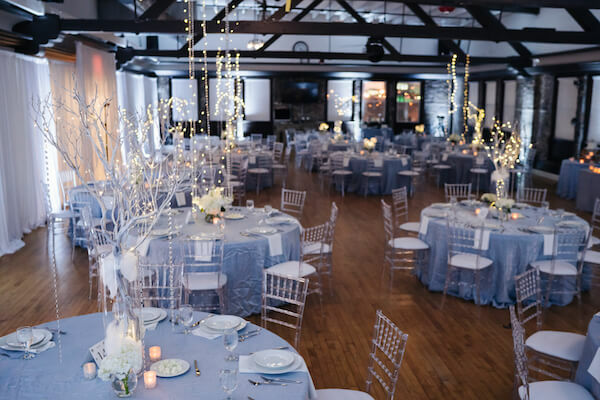 Polished wood floors, exposed brick, and natural light in a cool industrial vintage vibe set the perfect stage. 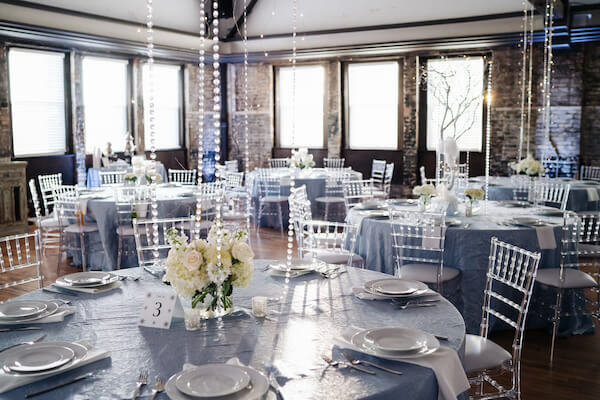 The natural light shimmered across blue-grey crinkle iridescent linen, hanging crystals, clear acrylic chivari ballroom chairs, and tables filled with bowls overflowing with white hydrangea, stock, and glistening branches. 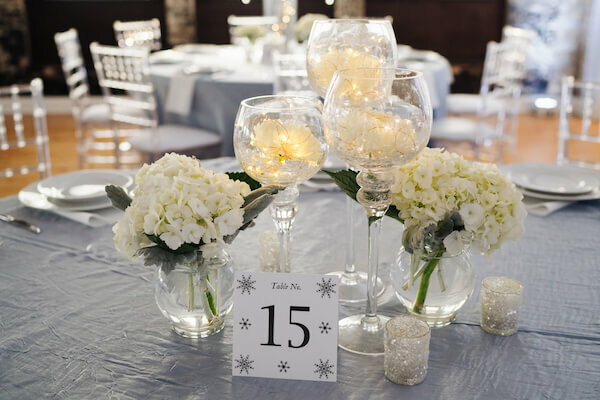 In addition to the bowls, goblets were filled with white blooms and fairy lights. 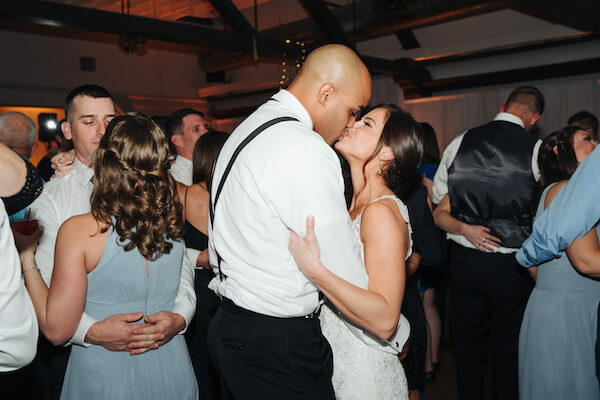 Keriann and Jeremy stunned guests by opening the wedding reception with an incredible, choreographed first dance. The family-style dinner that followed included delicious Grilled Bistro Steak with Yukon Mashed Potatoes, Mojo Marinated Pork with Cuban style Rice and Black Beans, and Roasted Root Vegetables. The perfect meal of winter comfort food. 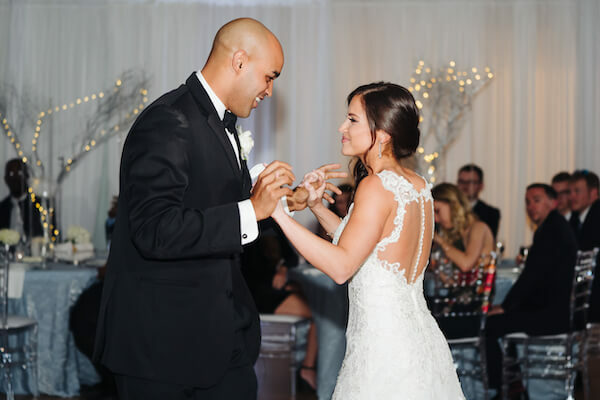 As the sun set, warm uplighting, and twinkling lights offered guests a second dramatic winter wonderland feel and set the stage for an evening of dancing. 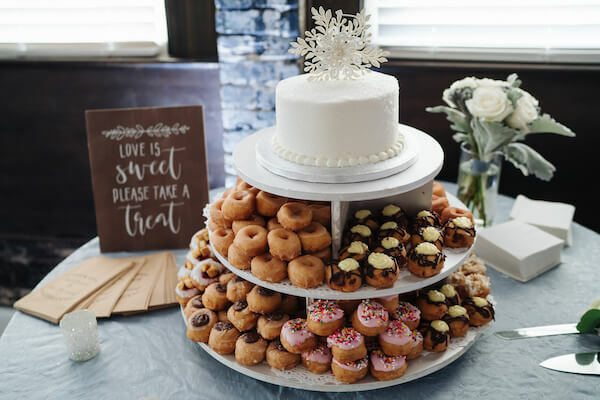 The evening concluded with a wedding cake of assorted mini donuts and a personal cake for the couple to cut, topped with a shimmering snowflake. 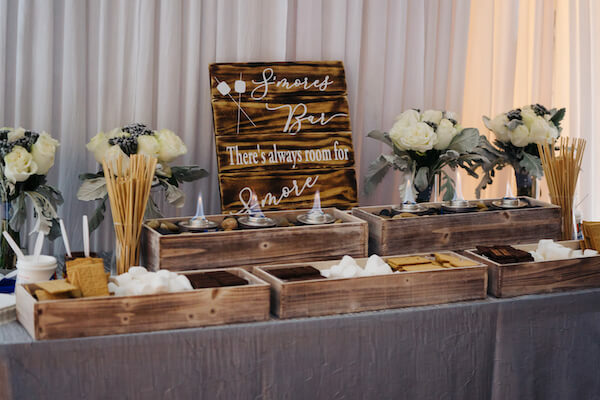 The perfect ending to a winter wonderland wedding was our Special Moments Event Planning S’mores Bar! 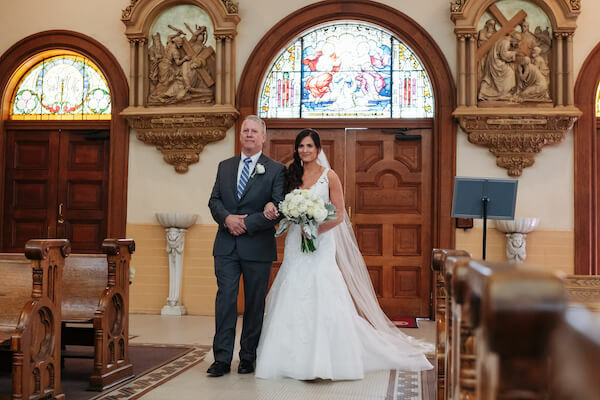 Keriann and Jeremy spent the night walking in a winter wonderland! 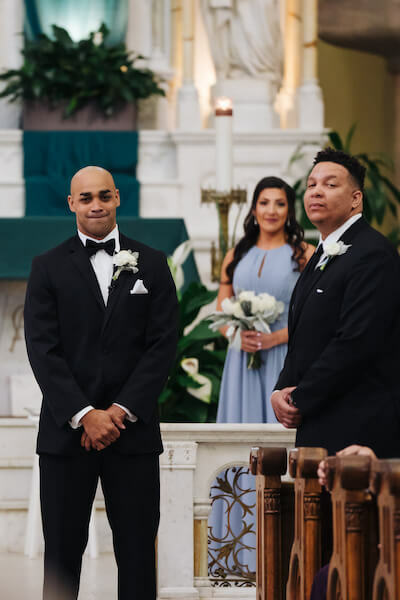 Be sure to check out Keriann and Jeremy’s wedding video on our Video Features page.